Join us to watch the crowning of the new Miss Canada Globe, live from the Richmond Hill Centre for the Performing Arts. 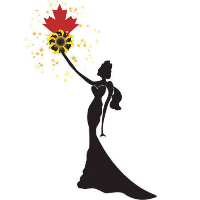 Watch the National Competition for Miss Canada Globe 2018. Live from the Richmond Hill Centre for the Performing Arts. The event is scheduled to begin at 7:30pm EST. However, the event logo and music will be live as early of 5:00PM EST.